Most of SIDS is Vaccination Damage IMO. Please take a look at the copious evidence here. "One research worker in the laboratory had been immunizing animals against diseases like tetanus and Diphtheria. His experience showed that after being immunized, some of the animals died suddenly within 24 hours. These deaths had been attributed to anaphylaxis. Authorities the world over had decided that this was so (it is a severe allergic reaction). I suggested that vitamin C deficiency was the cause. The animals involved did not make their own. Like primates they required it in their diet. To discover the truth only required a simple experiment…The result was definite, unquestionable and final. Half of a group of animals were supplemented with vitamin C before being immunised. None died. The un-supplemented half continued to die at rates equal to those found in previous experiments. The importance of this discovery can hardly be stressed. In Australia and all over the world, infants were being immunised. Those whose vitamin C status was low were at risk. Here, at last, was experimental evidence that supported my claims that stepping up immunisation campaigns among Aboriginal infants increased the death rate." 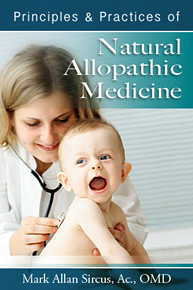 (p.139-140)” Doctor Archie Kalokerinos MD Note if your baby is to undergo the "vaccination needle" please make sure they get GRAMS of vitamin C before and after the "vaccination"
SIDS is Often CAUSED by a "Vaccination" Seizure. How do YOU Protect YOUR Children, Your Family and Yourself from SIDS and Many Other Diseases? IMO a good start is NO VACCINATION "Vaccination" is a deadly fraud. 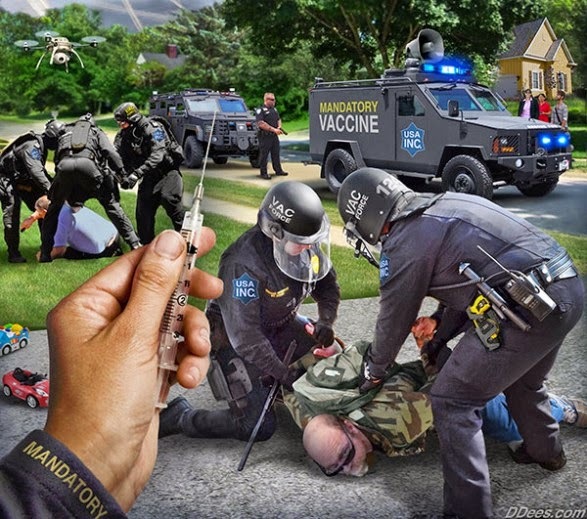 It has "protected" very few and has injected into "vaccination" victims MANY diseases to include SIDS, Autism the ASD diseases, the Diseases of "Vaccination" and the diseases of Weaponized Mycoplasma. Please one at a time or not at all. Not at all is better. The CDC data says to wait until I am 4. Not at all is better. Look you love me. Not at all is better. 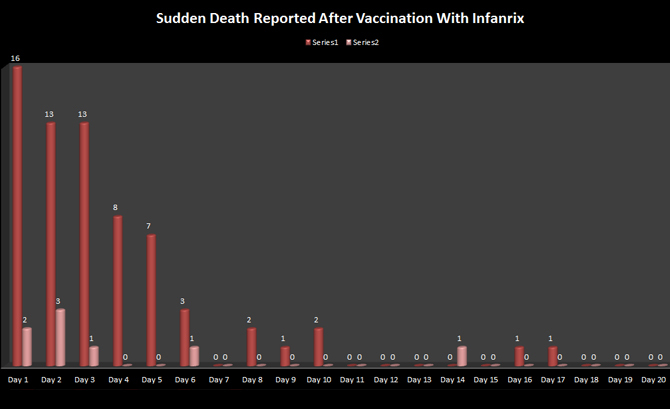 "[A] confidential study conducted by Connaught Laboratories, a vaccine manufacturer, indicated that ‘‘a fifty-fold under-reporting of adverse events’’ [in the VAERS data base] is likely. According to David Kessler, former commissioner of the FDA, ‘‘only about one percent of serious events [adverse drug reactions] are reported." Please don't forget both mycoplasma and Disease can be delivered in "vaccinations" and Vitamin D appears to be HIGHLY protective against mycoplasma, AIDS and many other diseases. Please don't forget both mycoplasma and Disease can be delivered in "vaccinations" and Vitamin D appears to be HIGHLY protective against mycoplasma and many other diseases. The SIDS, Autism/ASD/Vaccine Damage epidemic is found in all countries that have allowed mass vaccinations. It is found nowhere else. “Dr. Kalokerinos, a medical GP working in the Australian outback with the Aborigines, discovered that vitamin C prevents sudden infant deaths (SIDS) brought on by malnutrition and by the introduction of immunization shots. Infants near death were revived by vitamin C injections, and the 50% death rate (hence the title) in the region dropped to near zero during his 8-year practice. Deaths rose to former levels after he was drummed out by the Australian health authorities.” Doctor Kalokerinos Note: So vitamin C stopped the murder and they removed the vitamin C. Looks like case closed; deliberate MURDER by "vaccination." By the time you reach the final page of "The Terror of Pediatric Medicine" you will understand its title and the fact that pediatric medicine is one of the worst things that ever happened to the world of babies and young children. What is happening in the world of pediatric medicine should send a deep chill through the heart of every parent. Our medical revolution begins with how we treat babies and will not end until medical reason banishes medical insanity and pharmaceutical terrorism from the world. “Eventually I found that provided I could treat an infant early enough I could reverse the unexplained shock or unconscious stage by administering vitamin C in big doses, intramuscularly or intravenously. The method of administration and the dose given depended on the severity of the clinical state. It was a dramatic breakthrough. The statistics demonstrate clearly how I was able to reduce the infant death rate during the period from December 1967 to November 1975 when I left the area. With such a result one would expect other doctors to sit up and take notice. I was shocked to find that the reverse occurred. Doctors and authorities (and later SIDS organizations) not only ignored my work but became extremely hostile. Several times I was able to demonstrate to colleagues the dramatic reversal of the shock or unconscious stage. They remained hostile.” Doctor Archie Kalokerinos MD, Note here is some IMPORTANT information if you are FORCED to "vaccinate"
"One research worker in the laboratory had been immunizing animals against diseases like tetanus and Diphtheria. His experience showed that after being immunized, some of the animals died suddenly within 24 hours. These deaths had been attributed to anaphylaxis. Authorities the world over had decided that this was so (it is a severe allergic reaction). I suggested that vitamin C deficiency was the cause. The animals involved did not make their own. Like primates they required it in their diet. To discover the truth only required a simple experiment…The result was definite, unquestionable and final. Half of a group of animals were supplemented with vitamin C before being immunised. None died. The un-supplemented half continued to die at rates equal to those found in previous experiments. The importance of this discovery can hardly be stressed. In Australia and all over the world, infants were being immunised. Those whose vitamin C status was low were at risk. Here, at last, was experimental evidence that supported my claims that stepping up immunisation campaigns among Aboriginal infants increased the death rate." 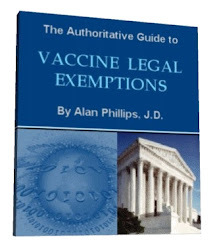 (p.139-140)” Doctor Archie Kalokerinos MD Note here is some IMPORTANT information if you are FORCED to "vaccinate"
US Government concedes that mercury causes Autism. Please note mercury a potent neurotoxin is just one of the problems with vaccination, as Doctor Rebecca Carley MD states it is the nature of vaccination itself that is the big problem. Vaccination will not be safe even if ALL mercury is removed from ALL of them. See the Work of Doctor Moulden to see why this is so. Doctor Archie Kalokerinos MD has found in Many years of clinical experience that vitamin C in large amounts can save many ascorbate starved kids from the SIDS "vaccination" death that may result if the kid has clinical or sub-clinical scurvy. So please if you are forced to "vaccinate" anyone make sure they are getting at least 3 grams of sodium ascorbate/day for a week or two, before and after, the forced "vaccination". Get the Vitamin C Complex Components along with your American made non-gmo sodium ascorbate. I get extremely depressed working on this depressing subject. But as you note my work keeps pouring out. Please examine this evidence folks and join me! When you see the light please SPREAD the word. 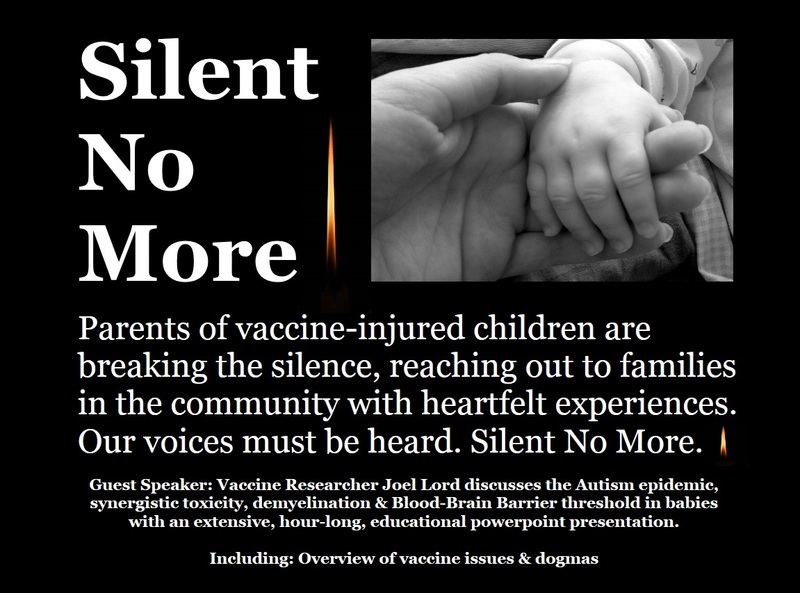 It is a lot more important than just us or our children; we are talking about EVERYONES children IMO they are targeted to be sickened and die by "vaccination". By their conscious covering up they expect you to NEVER see this; so far it has mostly worked.